Yesterday we announced on our Facebook page the availability, later this spring (May/June) of the first brain to modular synthesizer (and MIDI) interface. Compatible with the Neurosky Mindwave Mobile headset, the interface will trasform your barinwaves in control voltages (and MIDI messages) to modulate, transformate, play your sound creation. 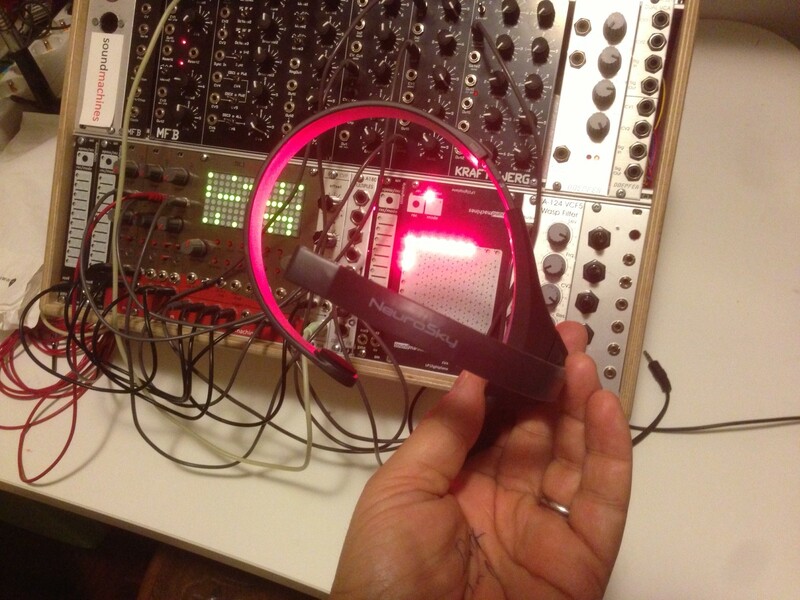 The module has 11 analog outputs (related to Meditation, Attention, 8 EEG bands and the RAW EEG signal) and 1 GATE signal (with a variable threshold) and it will be programmable by the user (MIDI channel, cc, etc..) through a (supplied) USB/serial cable. Availability and Price will be communicated soon. More product videos! UL1uloop and SY1synesthesia at work!